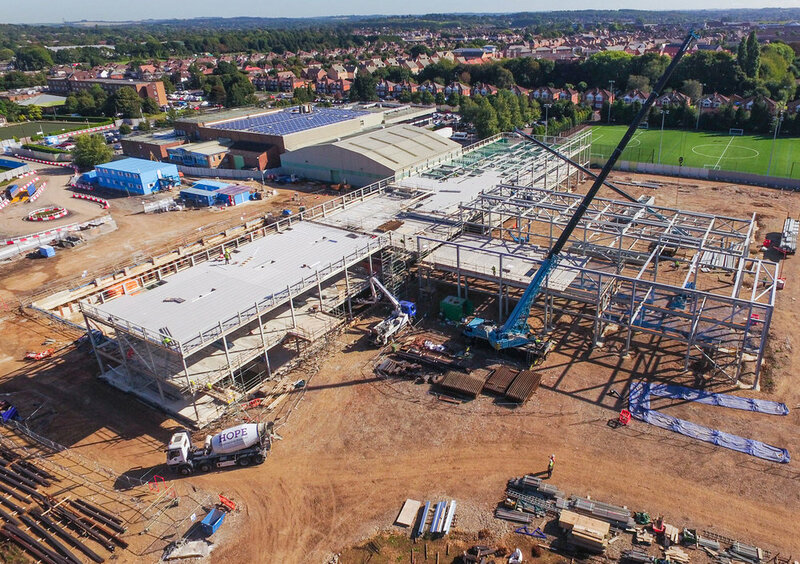 Construction of a new state of the art leisure facility, including sports hall, 15 badminton courts, eight-lane swimming pool, a learning pool with adjustable floor depth; 3 multi-purpose studios, spinning studios including family friendly party rooms, creche facility and soft play area. Project scope: Supply and install pre-designed steel frames, including 8 x 42m long trusses. Placing of the pcc planks and pcc seating together with the installation of the glulam beams above the pool areas.